Only five councils have applied for funding from the On-Street Residential Chargepoint Scheme to buy and install electric car charging points, the Government has revealed. Ministers have now written to local authorities urging them to apply for the £4.5m cash pot. The On-Street Residential Chargepoint Scheme covers up to 75% of the cost of procuring and installing charge points. 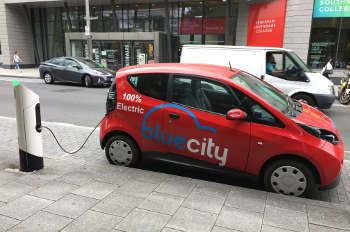 Transport minister Jesse Norman said: 'We are in the early stages of an electric revolution in the UK transport sector, and connectivity is at its heart.